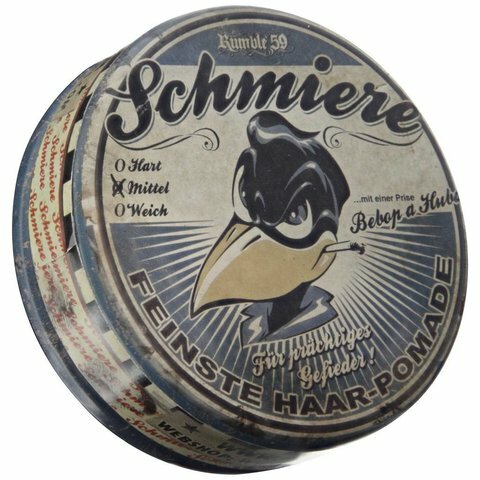 "Schmiere - Pomade medium" for medium and gorgeous feathers - for your "feathers" always staying gorgeous and keeping their shape! Yiiieeeehhhhaaaa! There&apos;s Rock&apos;n&apos;Roll on my turntable, I&apos;ve got Rock&apos;n&apos;Roll in my feet and now I&apos;ve got Rock&apos;n&apos;Roll on my head! 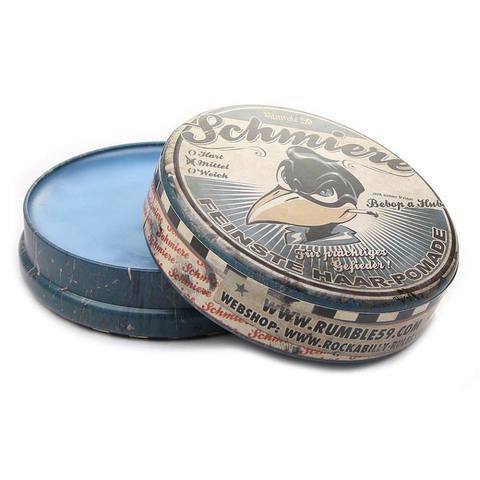 Thank god for the new Rumble59 Schmiere! 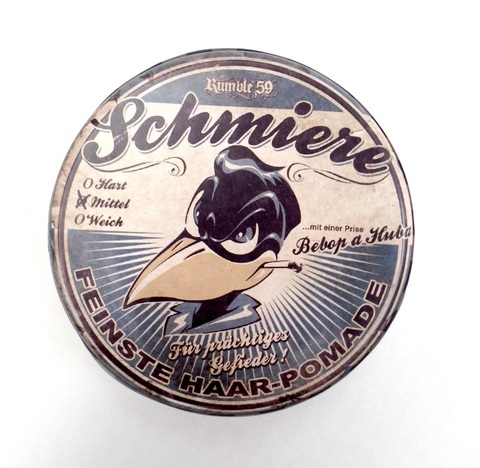 The"Schmiere - Pomade medium" has a medium hold. Its colour is light blue, it smells sweet and reminds a little bit of bubblegum. A shot of "Bebop a Huba" is responsible for this one-and-only smell. Beginners won&apos;t have difficulties to spread the pomade over their hair. Success will be achieved very quickly. Unlike other pomades this "Schmiere" can be washed-out easier. 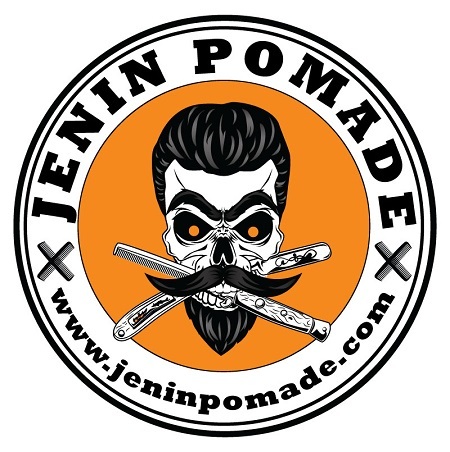 Mostly one application lasts only for one day, but you can fix that by "regreasing"!